Companies use CAD Collaboration software tools to manage the versions and information associated with each part in the assembly of a product. The tool unifies the team because it's a single source of truth throughout the development cycle. Effortless sync - Update the team with your changes in two clicks in the Workbench Desktop App, and always have the latest version of all the files in your project. No IT, no VPN, no servers - With your files on the secure cloud, there's no need for on-site storage or maintenance technicians. Access your data from anywhere with an internet connection. 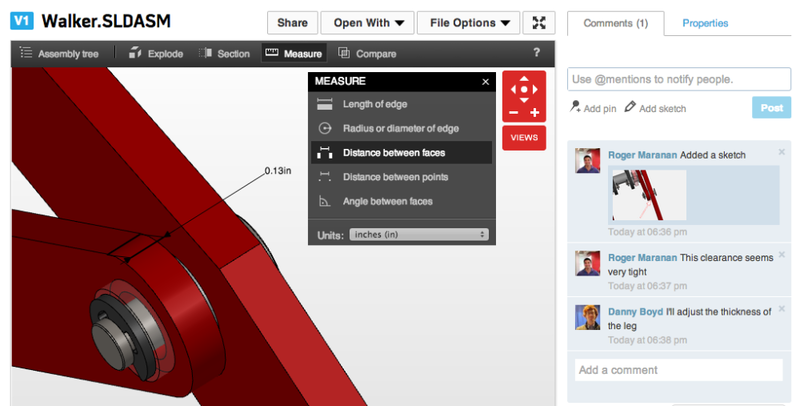 Show and release files to anyone who needs them - Rotate, explode, and compare any CAD file right in your browser. When you're ready to send files out to parties outside your team, simply add files to a Partner Space. Workbench is FREE - There are no costs associated with Workbench, and there are no limits on data storage, number of projects, or number of users. Projects on Workbench are where you keep all the files for each product. Each project can have its own set of users and roles. 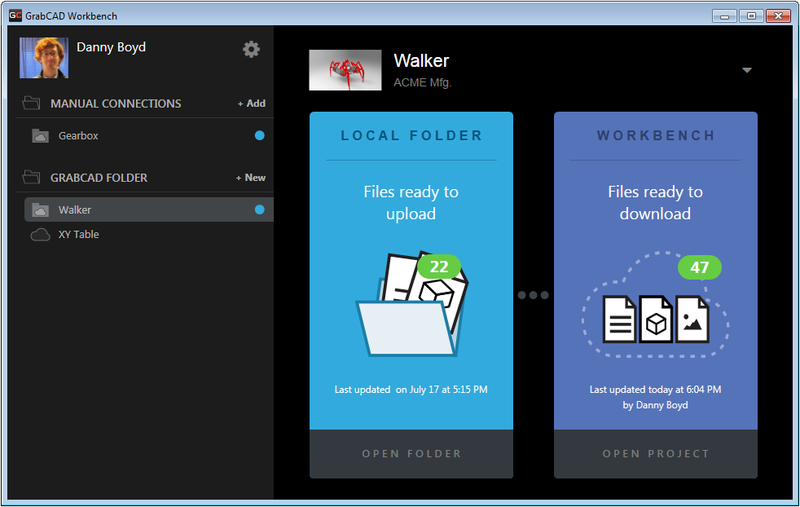 The Workbench Desktop App keeps a folder on your computer's hard drive in sync with the project on Workbench. When you make a change to a file and save it, the Desktop App updates your project with the new version. Your teammates will see that you've made a sync, and can download your changes right away. Click here to learn more about the Desktop App and you can download the Desktop App here. Versions are created when a file is uploaded to the project with the same name, or when you upload your changes with the Desktop App. Old versions are kept in the cloud and can be viewed or downloaded at any time. Lock a file when you are working on it to keep your teammates from duplicating work. View your files online and communicate changes to your team from right in your web browser. Head over to the Workbench overview page to sign up for Workbench to get CAD done faster, and click here for more info about getting started with Workbench.